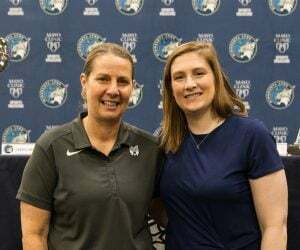 Our Mitchell Hansen caught up with ESPN commentator Ryan Ruocco ahead of the start of the 2017 WNBA Finals between the Minnesota Lynx and the Los Angeles Sparks on Sunday at Williams Arena. Ruocco, Rebecca Lobo and Holly Rowe will be calling each games throughout the series. 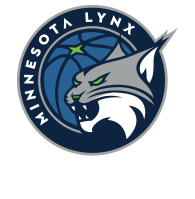 Mitchell Hansen: What have been your thoughts on the Lynx season so far in 2017? MH: For the last seven years they’ve had that consistency of success that we continue to see now. As someone who is around the game a lot, what have you seen from then in the last seven years? RR: “I think it’s amazing and a testament to the way Cheryl coaches and a testament to the way the organization is run. The fact that, even when they were good, they found a way to get better. Think about the Sylvia move (in 2015). In the midst of this team having success, you wouldn’t have necessarily thought that you know what they need? They need Sylvia Fowles. As it turns out, they kind of did and they knew that before anybody else did. I think that’s one of the things that has impressed me is the way this organization has continually, I don’t know if reloaded is the right word, because they have had so many of these key pieces, but added to what they had and needed. When they realized they needed to add to the bench, they went out and added Renee and Jia and Natasha. MH: The team has talked about getting to this point they are at now and how numerous pieces had to fall into place to make sure they all could come together at the right time. Isn’t it remarkable to look back and see how everything kind of fell into place and worked out just right to help them create the team they have now? MH: What have been your thoughts on the playoffs so far? Has it been what you expected or have you been surprised by anything? 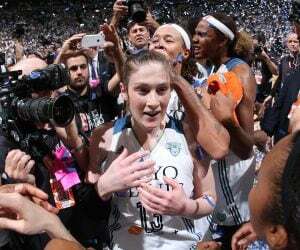 MH: Obviously we have a matchup in the WNBA Finals that many wanted this year between Minnesota and Los Angeles. What is the first thing you think of when it comes to this rematch? RR: “That we are all lucky. Last year was unbelievable. Last year was the greatest Finals of all time. It was incredibly competitive games with a high quality of basketball. Two worthy, worthy champions. I think we all kind of wanted to see that again and we are lucky that we get to. I can’t wait to see the way it unfolds. I could see Maya Moore having a special series. I could see her kind of going off and taking over. I could see Odyssey Sims being a really big factor for LA. Her speed and the difficulty she could give Minnesota’s defense, I could see that being very significant. I think that one of the most interesting things matchup-wise is going to be what happens with Sylvia Fowles as she tries to defend Candace Parker and Nneka Ogwumike, who will take Sylvia away from the hoop. That was something (Phoenix center) Brittney Griner really struggled with in the semifinals. Sylvia makes her biggest impact when she attacks the rim, and if you’re dragging her away with the athletic bigs that LA has, does that open up the driving lanes for an Odyssey Sims? I’m interested in the way that dynamic works. MH: Many have said that the Finals series last year and the anticipation for the series this year is great for the WNBA and basketball in general. Do you think the same? MH: The 2016 series was a very close and back-and-forth series, with teams taking every other game and even Game 5 coming down to the final play. Do you expect much of the same from the series this year? RR: “I think it will be a back-and-forth series. I’m curious to see the reaction from the fans out at the Barn. On TV, it seemed amazing. 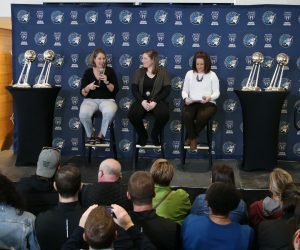 I do want to say this, it’s so impressive the Minnesota basketball fans and the fans of the Lynx, what they do for this team and the atmosphere they create. The fact that you could have the kind of homecourt you have at Target Center, move to Xcel Energy Center, actually increase your average attendance there and then have to move again to University of Minnesota and still create this incredible atmosphere. The fact that these fans are willing to follow this team anywhere and great that atmosphere speaks to their passion. I can tell you from a television standpoint it makes a big difference and it makes it so fun for us to have that atmosphere. I’m super pumped to see the Barn. 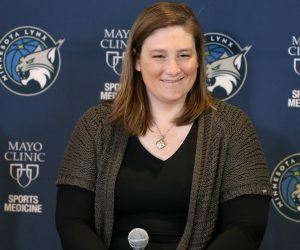 MH: Seimone Augustus said this earlier this week that one thing that impacted the semifinals series was the noise at Williams Arena and that the Lynx kind of now know what to expect with the noise level at Williams Arena. How do you think that that will play into Game 1 on Sunday? Game 1 of the 2017 WNBA Finals between Minnesota and Los Angeles will kick off at 2:30 p.m. (CT) on Sunday at Williams Arena in Minneapolis. The game will be aired on ABC, 106.1 BOB FM, TuneIn Radio and the Lynx App.